Ever thought how cool it would be to personally sponsor one of the rarest frogs in the world? 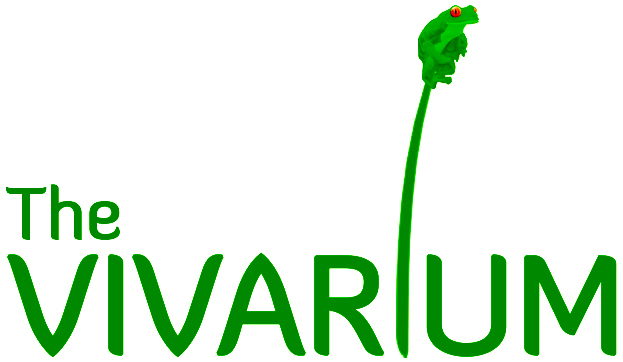 Ever wanted to directly support the conservation of rare amphibians?.. ..or give the opportunity to do so as gift for a family member or friend? An exclusive A4 colour print of the painting ‘Lemur leaf frogs’ by the wildlife artist Nigel Artingstall. Your contribution will go to directly supporting the conservation of Critically Endangered frogs from Central America and related in-country Environmental Education such as our work in Costa Rica and Panama. To ‘Sponsor a Frog’ please CLICK HERE! ** 1 hour tour – Subject to availability and by prior arrangement. On the 26th August I took my members to the museum for an arranged tour. Half went around the vivarium with Andrew and the other half around the Living Worlds exhibition with Suzie. After a very welcome drink we changed over. The knowledge and enthusiasm of the two guides was very infectious and what with a hands on of the frogs and lizards and a very moving account of the short life of a Japanese girl who tried to extend her life by creating hundreds of origami cranes we were in emotional overdrive. As a thank you we have sponsored a frog and have chosen a red eyed tree frog native to Central America as several of the members had visited Costa Rica. We have had many interesting trips in the past two years and I was assured that this was the most interesting of all. Thank you Andrew and Suzie may your good works continue and we wish you every success. I bought my boyfriend a frog sponsorship package for his 30th this year. I have to admit it was more a present for me, as from an early age I have always had an interest in frogs. A month ago we had a tour around the vivarium given by Adam which was part of the package. We both couldn’t rave enough about how truly fantastic this was. I completely agree with the previous comment, the enthusiasm Adam showed was infectious to say the least and his knowledge was outstanding. As I say this was booked for more my interest than my man’s but we both came away having had a fantastic couple of hours. My favourite bit was seeing the chameleon’s tongue, as it hit the cricket. I thought the price was really good value for money and would recommend this to anyone, young or old. To all involved- you should be really proud of yourselves for what you have achieved. Good luck for the future, I may even book a visit next year now! I had been told about this tour from some colleagues and thought it sounded liked a great birthday present for my boyfriend. Well I was not disappointed! It was fascinating and Adam was an excellent tour guide. As with these other posts, he was enthusiastic and very knowledgeable about the the animals, their habitats and conservation and his passion was a delight. I even forgot the time! The frogs are fascinating and knowing the money I paid goes towards this kind of project just makes it even more worthwhile. My partner sponsored The Splendid Leaf Frog as a 30th birthday present for me. The frog tour at the museum was a brilliant surprise and I really enjoyed meeting Adam and learning lots of new frog facts and hearing about all the conservation work was fascinating. I even got to meet my sponsored frog in person! My daughter Felicity gave me a Lemur leaf frog sponsorship for my 60th birthday. A great present in every way, the book and the print are great but the tour to see the frogs in the collection by Matt was fantastic. He explained so much about the collection and answered every question. Wishing all at the very friendly staff at the museum and the vivarium all the very best in the future. I was given a ‘Sponsor a Frog’ for my birthday this year and I took up the kind offer of a backstage tour. It was even better than imagined with lots of access to see the tree frogs, toads, lizards, salamanders and the snake. I was even allowed to hold some of the specimens which was magical. Andy showed me around and his knowledge was amazing, with lots of interesting facts and tales of visits to Costa Rica on his expeditions, watch out Mr. Attenborough, there a new guy on the block! This will now be an annual pilgrimage for me and if I can help the ’cause’ in any way I will do as much as I can. Take the kids it’s much better than any computer game!